Recently, I traveled to Buffalo to visit Matthew and simply get away for a bit. As you may know from reading my “about me” section or just the theme of the blog is that I appreciate and adore the city of Buffalo to the greatest extent. As you also know, I am attending college there in the Fall. While in Buffalo I made a couple of really great purchases at some trendy boutiques. 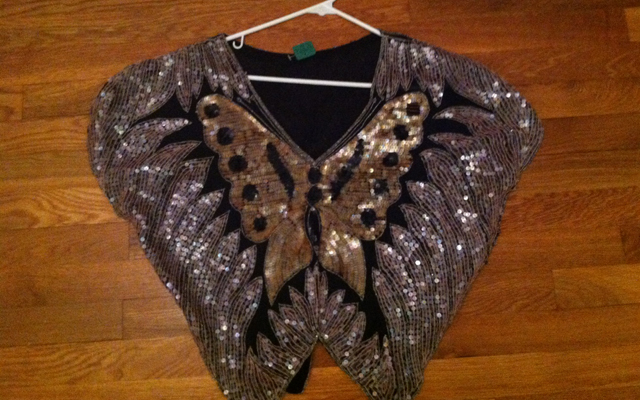 First I bought a vintage, sequined, butterfly shaped and designed shirt from Second Chic, a great vintage store on Elmwood (located next to D’Avolio’s, behind Solé). The butterfly shirt is definitely one of the most unique items I think I’ve ever owned. It’s definitely eye catching and an outfit all on its own. 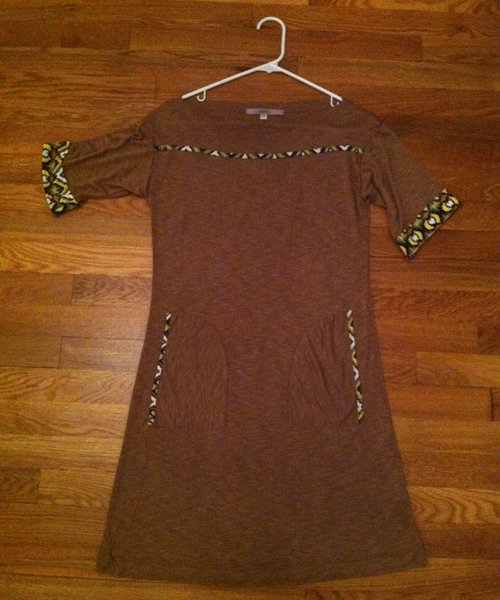 There was a little rip in the shirt, but nothing a needle and a little thread couldn’t fix. Not to mention, it was good for a small discount. I recently wore the shirt to a concert on the Intrepid in NYC and got several compliments on it throughout. A few people even went out of their way to tell me how “striking” I looked in it. I also purchased a few items from one of my favorite fashion stores in Buffalo: Modern Nostalgia (located on Hertel near North Park). 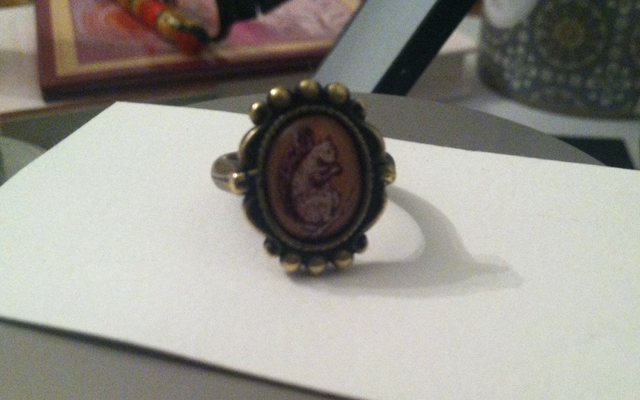 There I bought a great dress that just screams “Fall” and an antiqued ring. Both purchases I am more than content with. The dress is extremely flattering and the ring I wear almost every day. Modern Nostalgia is a great place to go to get vintage inspired clothing and is always reliable. 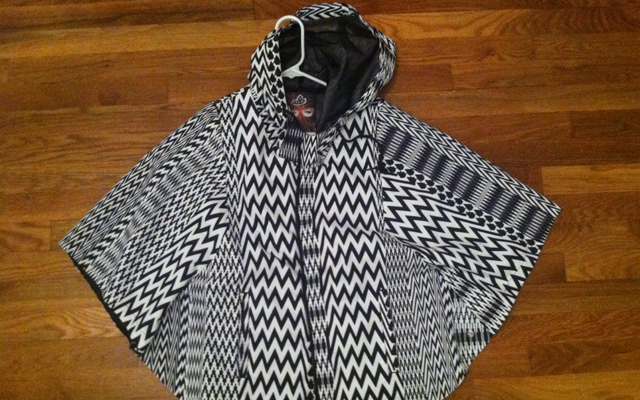 Lastly, I bought a white and black, aztec pattered, bat wing, raincoat from Urban – another cool and trendy store on Elmwood. Although I sometimes find Urban overpriced for its quality, this buy was a steal: it was on sale for only $29. I can’t wait to finally move in to my dorm in Buffalo only 3 days from now and see what other good fall buys I might find!